Rega R.I.P.6...... to Lazarus6 ! Endrik's new shocking orange tweak! I will probably go for the bracing later in the year. The installation was simple and I made the upgrade on my P3-24. I also did some tests using a single belt system which can be found here. While the stock table is good, the double pulley system does make it better in terms of speed control and stability. In the future, I am looking to procure a test record where I can show more data on the single vs. double belt system but I think you can conclude that this upgrade is worthwhile if you want to go down this path. Included a picture of my upgraded NAD C552. The upgrades went fine: the pulley installed without a problem, the sub-platter was indeed very tight to get in as the air under the shaft could not get out easily, it took a few minutes before the platter was in place (I turned it around and gently pushed on the top spindle). The 2 silicone belts were also quite easy to put in place thanks to your instructions. I now had a good week of listening and I do hear an improvement. 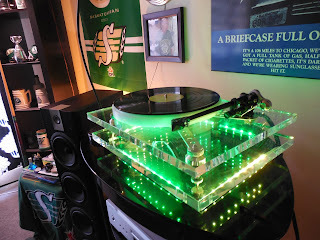 The music sounds better, more steady, the details present on the record are easier to hear (almost in all records that I put on). I am all in all quite pleased with these improvements. 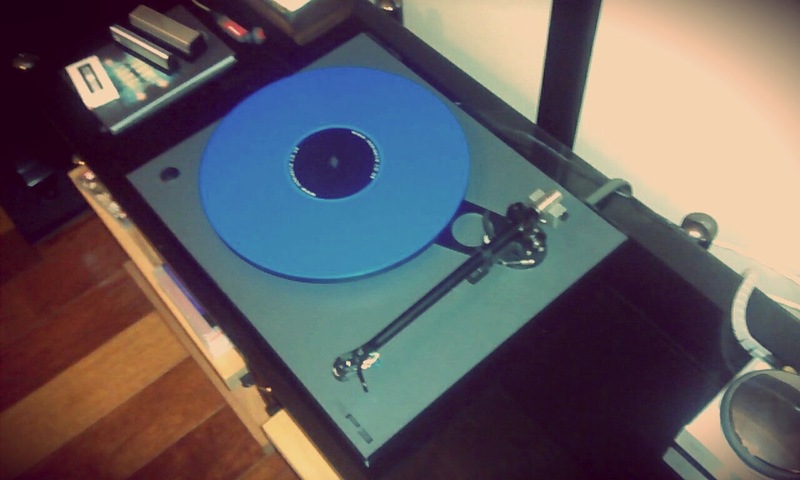 As you can see on the picture I recently installed a new element (Ortofon 2M Blue) and that gave a boost to the turntable. 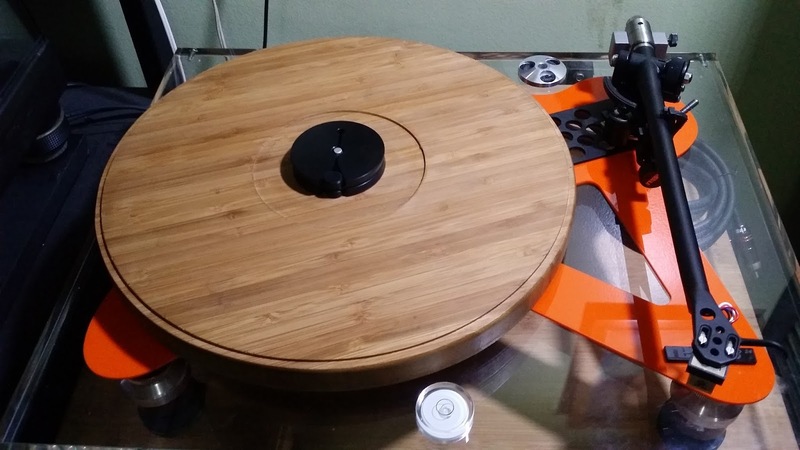 Your pulley, aluminum sub platter and dual belts further improved the turntable and I conclude that the investment in the 2M Blue element is supported by your material. Keith says, " it's like the window is gone and nothing but natural, real sound is coming through"
It's interesting that first I received Brian Davis's feedback for my counterweight : "The improvement has been akin to cleaning a slightly dirty window , you can tell that it was dirty but you don't know what you've been missing until the dirt has been removed.... " (In my last post). "It's not just like someone's wiped the grime off a dirty window, it's like the window is gone and nothing but natural, real sound is coming through. Overall the improvement is striking and the value phenomenal..."
I rec'd the Lim motor base and counter weight a couple of weeks ago and figured I'd provide some feedback after a minor setback, but overall a very positive experience. The motor base install went fairly well, mostly as per Michael's instructions. The act of prying the motor away from the plinth gave me some concern, but the sticky tape gave in like a cheap date and it was all over fairly quickly. I did have some head scratching about how to fit the pcb into the supplied case, but figured it out after a couple of beers. I ended up needing 2 of the supplied shims to get the motor to the right height. The supplied feet are a little cheap-ish, but work for now (and really for the price of this upgrade I can hardly quibble about the feet) other than they are simply placed in the alum cups with no screws. My TT to is on a wall shelf, so room isolation is not a real issue. I ended up using a small piece of neoprene under the 3 feet and the motor base. 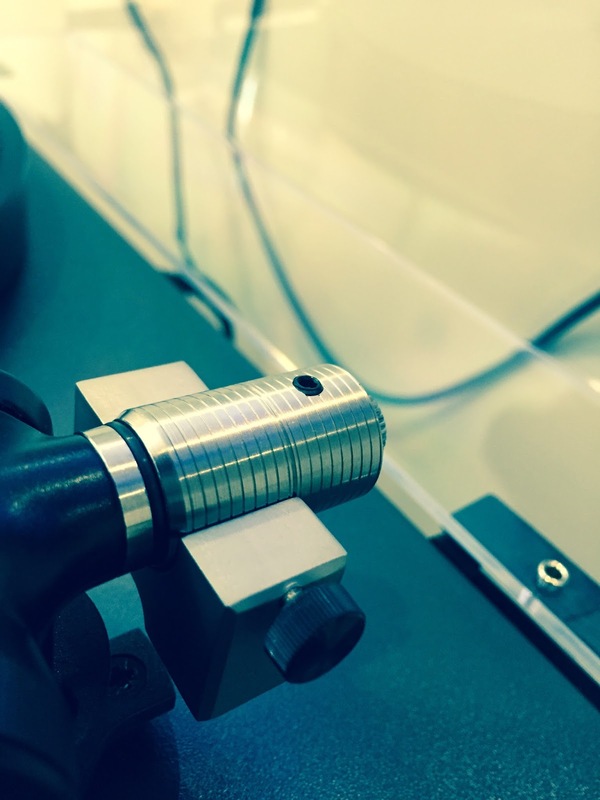 The counter weight went on easily as the rb900 end stub is different from other regas and attached with a hex bolt. 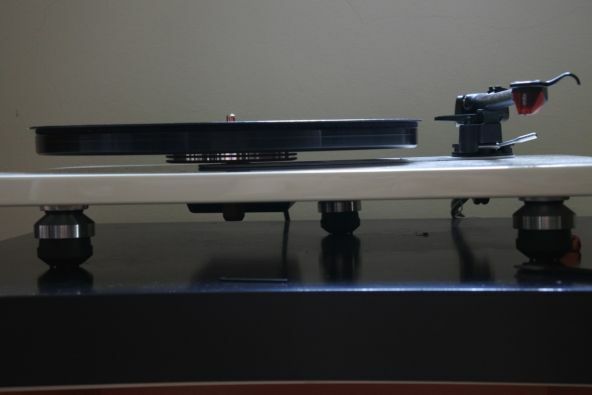 In the end the stub does not get removed, but the sleeve is installed directly on the rega stub. 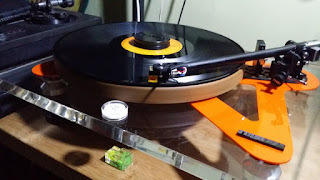 Initially I found I had developed a bit of a wobble problem on some records, similar to the grado "dance" problem and was scratching my head to figure out what was going on. Eventually I found a couple of posts with similar issue with the dyna 17d3 and I tried the suggestion of adding a little mass to the headsheel (2 grams in my case) and with the extra mass and a re-set of the vtf, it seems all is now good. I emailed Michael a few times during this and he was always very quick to reply with suggestions to try to help. I have to start by saying this is really an incredible value for the improvement in sound for the relatively small price. Noise floor dropped a lot, much less dirt and cloud Lf noise is just gone, no wow, nothing I'm able to play at louder volume levels due to less noise, which really makes me happy Bass attack improved, overall instrument attack is more realistic Certain instruments have much more realism, eg tracy chapman's guitar on fast car is much more realistic High freq energy is improved, percussion and other highs are crisper, less muddy with improved sustain or duration. Imaging and sound positioning is far more solid, things stay in one place rather than move around sometimes. The micro vibration, or the sense that an instrument like say a violin or an oboe is vibrating to make sound is far more obvious. The feeling and sound of the vibration is greatly enhanced. If you've ever sat in front of a cello you knew what I mean. It's not just like someone's wiped the grime off a dirty window, it's like the window is gone and nothing but natural, real sound is coming through. Overall the improvement is striking and the value phenomenal. Keith has posted the above in vinylengine also. "The improvement has been akin to cleaning a slightly dirty window , you can tell that it was dirty but you don't know what you've been missing until the dirt has been removed.... " says Brian after the underslung counterweight upgrade. I received the counterweight last week on Friday , install went smooth no issues at all, I followed the detailed instructions you provided. 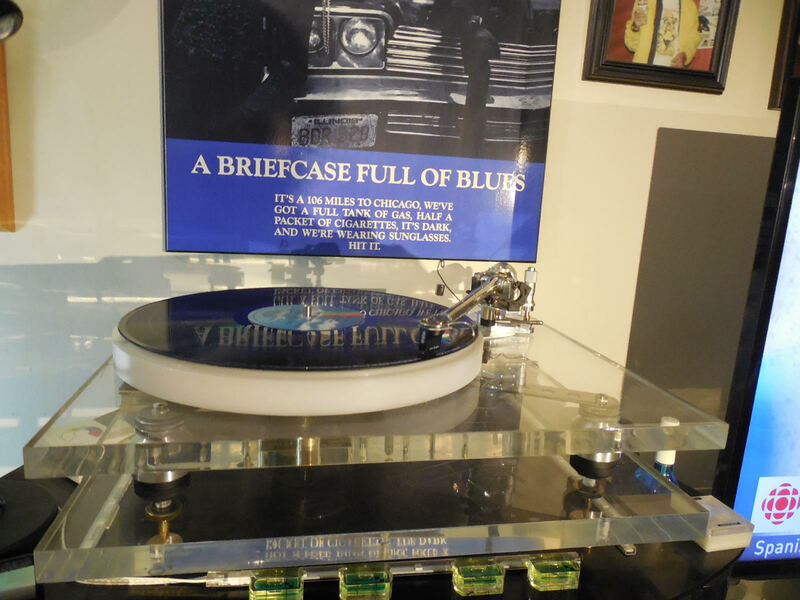 I would say that I'm very pleased with the overall quality of the piece and the contribution it's made to the sound of my turntable . The improvement has been akin to cleaning a slightly dirty window , you can tell that it was dirty but you don't know what you've been missing until the dirt has been removed , bass and midrange clarity has improved too. 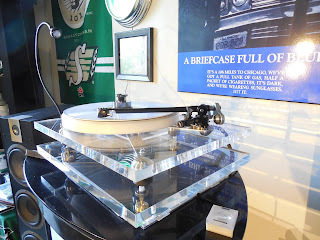 One improvement that I've really noticed has been the quietness between songs on the record , it's just dead quiet on most my records .My thought on that is the stainless steel stub really silences the micro vibrations coming back up from the stylus and into the tonearm. A very good upgrade in my opinion. Recently a Rega TT owner told me that he was very interested to add my motor isolation base to his beloved TT. 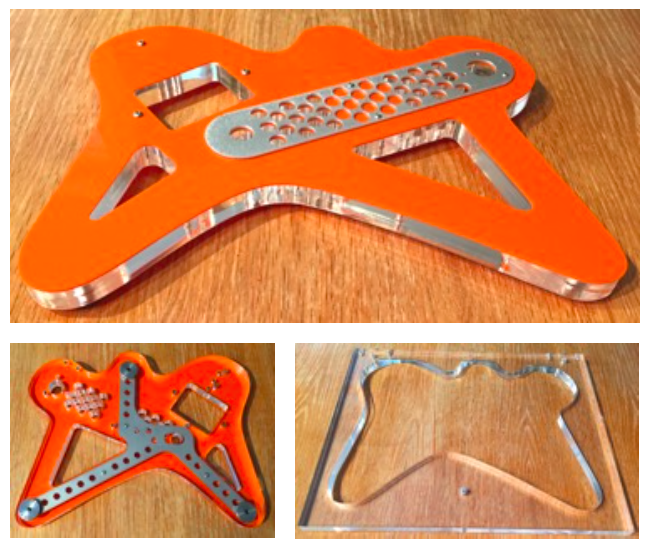 But he was not keen to add another platform that completely covers the three cups which are meant for the Rega feet. 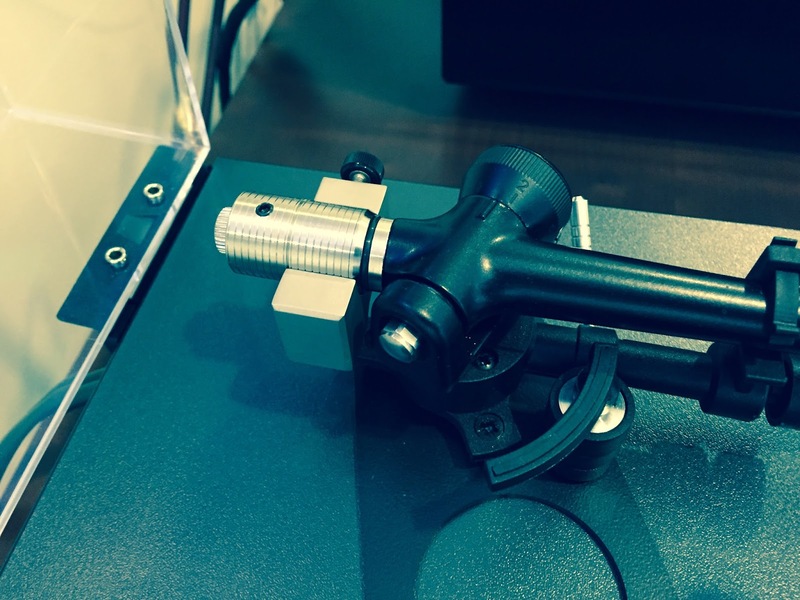 Don't worry... let me share with you my own Rega wall mounting rack. Can you see my motor isolation base sits comfortably below the plinth without affecting the original position of the feet? You notice my "sub-platform"? Motor isolation base with outboard PCB control on "sub-platform"
Anthony of Malaysia has upgraded his RP6 with my dual pulley, silicone belts and aluminium adjustable feet recently. I installed everything last sunday and the overall performance is up by a clear margin. 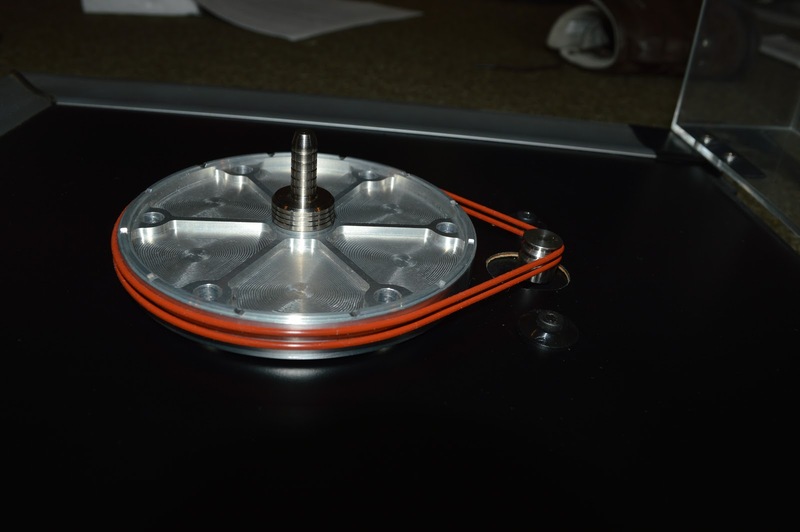 The double pulley improves the timing and rhythm, likely due to improved speed stability. The feet results in lots more detail and opens up the soundstage. Now there is clearly more depth and width compared to previously. However, there was a slightly bright sound overall which I thought would mellow as the belts "run in". I had a little problem installing the feet as the cap nut failed. Luckily I was doing it with help from a friend who suggested using two nuts to lock the bolt which allowed the installation of the bolts into the plinth. Sand in the rubber feet helps a lot. The background is even quieter. The brightness to the sound went away after I repositioned the double pulley a little lower, allowing the lower belt to come close to the bottom edge of the subplatter. 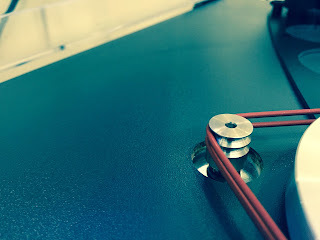 Thanks to your design, repositioning the pulley is easy. All in, I think one would have to spend a lot more to buy a ready to use turntable that would outperform my tweaked RP6. 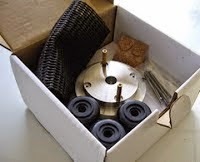 Everything arrived fine and as before your instructions were a big help. 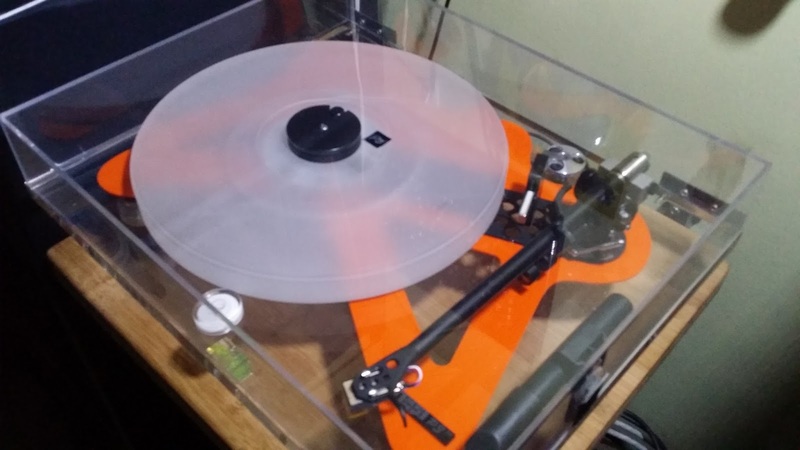 I decided to remove the original Rega inner sleeve after doing a dry run. Takes a while but the wd-40 and a pair of pliers with a protective towel do the trick. Balanced it out and now up and running fine. Thanks again for all your help. The stainless steel is a much higher quality product. In terms of the sound, I am still listening and sorting out (I also have a new preamp in the system so it might have to wait until I do some A/B with old preamp). One question – the Elys 2 seems to be a very light cartridge and I needed to move the new counterweight relative close in. I removed the 9.5g weight as you mentioned. I used the tracking force on the Rega to set at 1.75 and verified with the Shure guage. 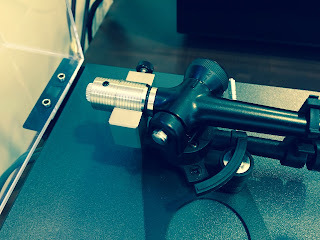 I wasn’t sure if I should be able to zero out the Rega dial and adjust tracking force purely with the new counterweight but it was getting pretty tight with the tonearm rotation when I tried. This is a bit convoluted so I hope the question makes some sense. 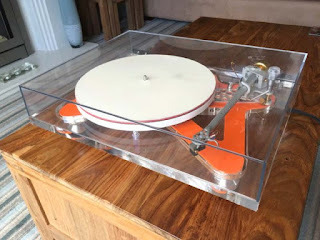 But everything is working fine and the cumulative effect of changes to the Rega has been significant.
" I have struggled with wobble in sustained notes with this table (P5) since I got it .... " said Luke Pfeiffer of Fremont, Michigan. Greetings and hope all is well. The items arrived back on 7/10 and I finally got everything installed the weekend of 8/7. 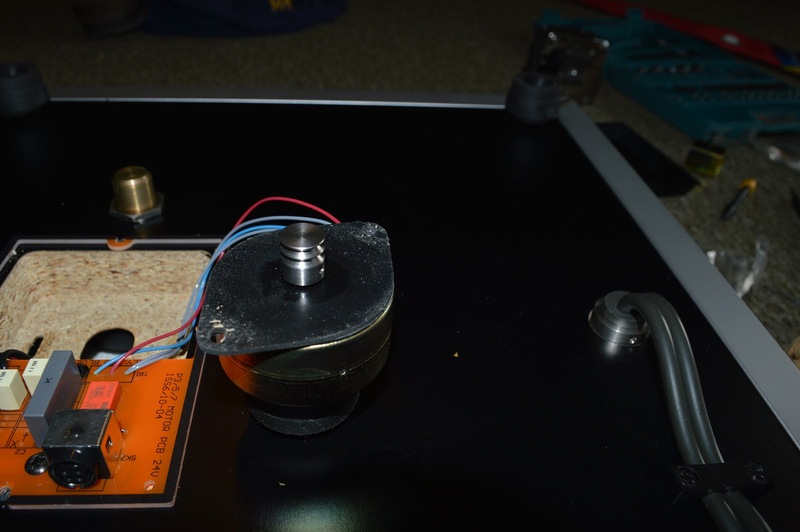 The differences were immediate and very noticeable, I have struggled with a wobble in sustained notes with this table since I got it, adding the TT PSU helped a little, but the sub platter and new pulley have now eliminated it completely, when I heard that I was amazed. The table felt more solid in its sound presentation after the installation, everything seems to have better timing and when anything sustained comes across the speaker I still smile a little even though its been 5 weeks and several hours of listening time. 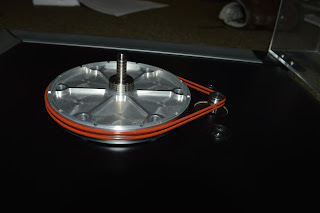 As for the install itself, it was surprisingly easy, the pulley swap was a little intimidating, but once I actually did it, I was amazed at how quick and easy it was, your pulley puller makes this an easy task. The subplatter is beautiful and once again that was a snap to swap out, and you provide everything needed. 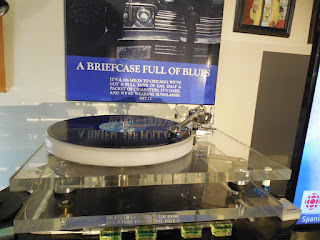 I just picked up several new disks and have been listening to the newly released Black Crows Live albums as I type this up, not sure if it's the new gear or what, but the dynamics on these albums through my system are amazing, you can feel the back up singers to the left rear of the band, and Rich off to Chris's right. I have a modest hi-fi with my Rega P5 and TT PSU plugged into a Vincent PHO-8 phono preamp. That is plugged into a Vincent SA 31/SP 331 pre/amp combo running a pair of Focal Chorus 826V's. Everything is connected with AudioQuest wires. Again, these two upgrades made a huge difference with my table and the audible differences were very noticeable to me and all in good ways. I would not hesitate to recommend your products to anyone and look forward to future purchases myself. 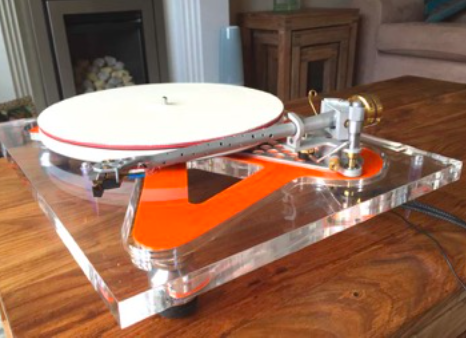 Special request from Andrew of UK has prompted me to make and introduce to you today another version of acrylic plinth which not only enhances the look of your turntable, but also bringing to you beautiful music. 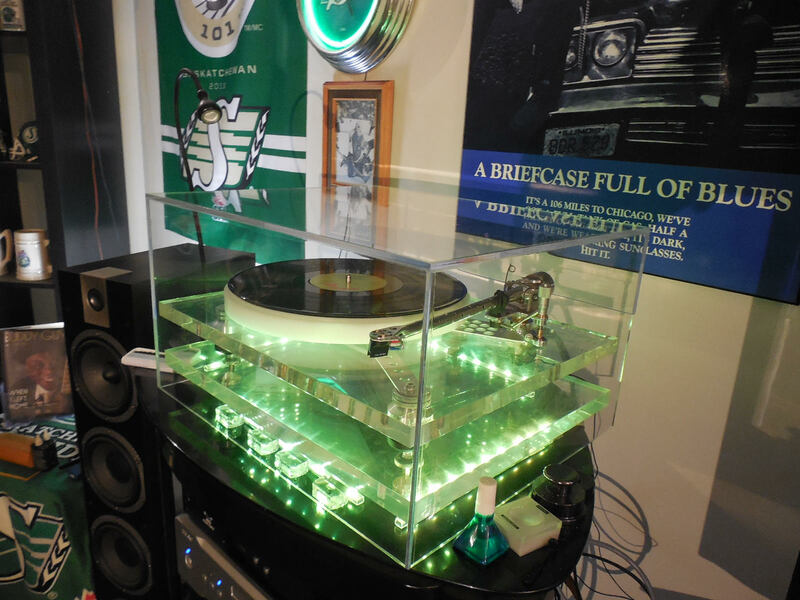 Besides, it retrofits your stock Rega lid. When I saw the recent Vinyl Engine post from endrik35 in Manilla (My First Rega upgrade - groovy baby!!) I decided I had to do something similar but I wanted the plinth completely isolated from the Rega cover. When I originally contacted Michael Lim, he told me that the ‘RP8-RP10’ type plinth that endrik35 showed was in fact a thin 2.5mm shim on top of his standard 18mm clear rectangular acrylic plinth. I then asked if he could use the same CNC programme to cut the18mm material down as well. Anyone who has purchased from Michael previously will know what a helpful, customer friendly man he is so he said he would check and come back to me. 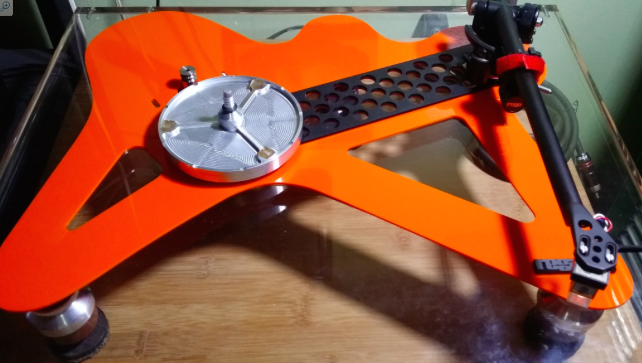 A few weeks later he showed me a black prototype that he was testing which looked to be exactly what I wanted so I ordered the orange bonded plinth c/w upper and lower braces in ‘brushed’ finish, mounting feet, the clear outer frame plus the motor isolation kit. My original RP6 was only using the plinth, bearing housing and glass platter as I had changed everything else over time. 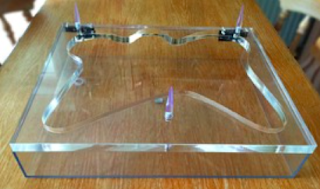 I had borrowed an acrylic platter some time ago and used it for over a week but felt it took a little transient attack away from my music, hence I have kept the glass platter. Very easy to fit, following Michaels’ detailed instructions. 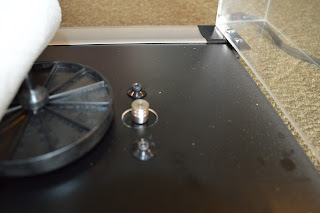 What surprised me during removal was the simple sticky pad holding the motor to the Rega MDF plinth which was easily prised apart with a screwdriver. The RP6 has given me a lot of pleasure in its’ former state so I am impressed that something so basic could sound so good. Whilst I was at it, I extended the cables between the motor and PCB board so this could be moved away from the turntable itself (in the housing adaptor supplied as part of the kit). Once the motor isolation kit was in place, there was an immediately noticeable tightening and greater clarity to the lowest bass notes and that has persisted with every LP played since fitting this. Everything is also more sharply positioned within the soundstage - I was not expecting for this to improve quite so dramatically with vinyl playback. Upgrading the arm on my turntable and then adding a new sub platter and Lims’ double pulley & belts were previously the most positive changes I had made but isolating the motor had taken things a lot further (I play my system every day when at home and I know the sound signature intimately so this is no understatement). Instrument and performer positioning hung within a more believable 3D soundstage on appropriately mastered recordings and this is very addictive to listen to. 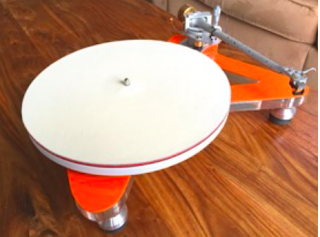 I will go so far as saying that in my opinion, isolating a Rega motor with Michael Lims’ isolation base is a must-do upgrade that every owner should consider. I am pleased that I had several days to hear the impact this had made before changing the plinth too. The orange 2.5mm top piece had been bonded by Michael as we had agreed using a special adhesive to ensure no air gap or potential for flexing. I bonded the braces myself with a clear adhesive (spread carefully and thinly) and screwed the bearing housing mounting feet, the allen-key brace screws and then the arm whilst the glue was still pliable so both braces are very securely attached. During this process, I took great care to achieve the same 221.5mm pivot-spindle distance that my Mint arc protractor is designed for. I also had to align the outer frame and cover to ensure that the arm micrometer fitted exactly in the same place as previously (as I have a small transparent ‘turret’ glued to the cover above a circular hole in the top of the lid). 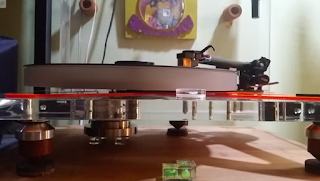 The rest of the turntable assembly followed easily (I have modified a few Regas’ in my time) and I checked with both spirit level and bubble level that the plinth, arm and platter were all exactly parallel. They were, first time. The moment of truth came when I clipped the AT150ANV cartridge stylus back in (removed during assembly) and checked alignment with the protractor. Even under 30x magnification, it fell exactly on the arc so no adjustment was needed, the pay-back for being precise in mounting the arm & a big time- saver. My music room is quite cluttered, I probably don’t dust/vacuum often enough and my wife refuses to enter ! Also, the carpet seems to generate a lot of wool fibres so playback with the lid closed is very important to me, especially as every record is RCM cleaned. 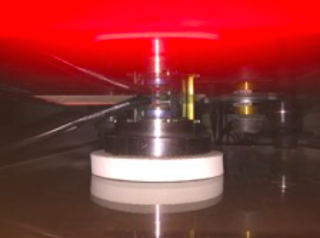 I already mentioned the 5mm spacer - this is the gap between both plinths and as the motor is now isolated this gap ensures that the closed cover is isolated from the platter/arm as well. Rather than additional heavy looking feet for the outer plinth as this is just a support platform for the cover, I have made some tapered transparent acrylic feet of the correct height and these are tapped and screwed to the three M6 threads fitted to the frame underside. Everything is now completed and IMO it’s a fabulous looking piece of kit. Even my wife who has ‘tolerated’ 35 years of various bits of hi-fi in the living room expressed her first ever positive opinion, going as far as saying it is a real pity that this has to stay in my man- music cave - praise indeed ! 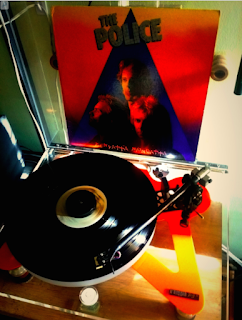 As I write this, I have played half-dozen-or so LPs and am extremely happy. 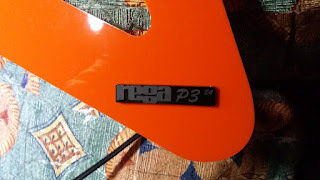 The tightness to the bass I mentioned previously is still there and the only way I can think to describe the finished article is that bass is now no longer congested and each instrument or note seems to be independent to everything else, both tonally and within the soundstage. 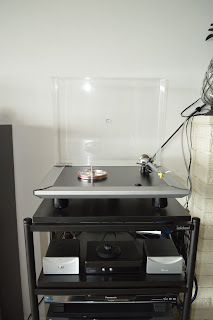 Previously vinyl and digital sources in my system sounded extremely close but now the sense of openness, ‘air’ and soundstage imaging with vinyl has taken quite a leap ahead, to say nothing of that tighter, clearer bass. Exactly what I wanted. 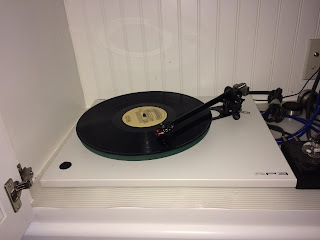 Read Andrew's post in Vinylengine : Rega R.I.P.6…… to Lazarus6 ! Thanks, Andrew for sharing your experience with us. Garnet's RP6 upgrades - HOLY COW what an improvement! i just installed my double pulley system,the new feet and the acrylic base. Told you one day that I was going to install a Audiomods series 5 with micometer tonearm..well i just did it today along with a Ortofon Candenza Blue moving coil cartridge and a Avid Pulsus 2 phono preamp..
this is now my super Gr ! 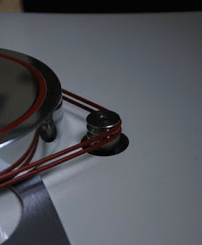 Dual pulley and aluminium sub-platter have been the most popular upgrades for Rega TT owners. Many began their tweaking journey with these two components. Some may go on after that .... seeking for more improvements. And the others may just stop here considering the rest unnecessary. What about counter-weight? Is it listed to be part of your upgrade project? I remember it was not on the top of my list either when I first started to tweak my Rega turntable. But when I first set up my underslung counterweight to test, my wife "wow" at the big improvement! You have to try yourself to believe it! Glad to know Yann from France has agreed with me too! Your counterweight is a great improvement! All is cleaner and bass is now controlled. Many thanks for your work. Motor isolation base tweak for Pro-ject Carbon Debut ? 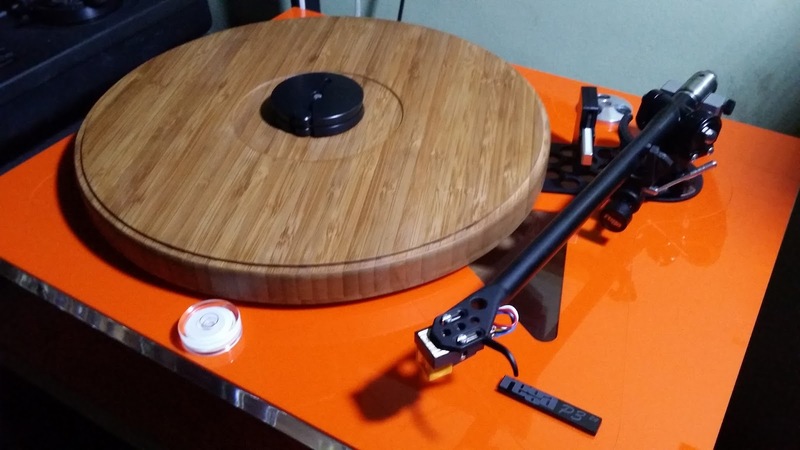 Pro-ject Debut Carbon is a good budget turntable to commence one's analog experience. It's equipped with a carbon tonearm. With some simple tweaks you can further enhance it's performance. 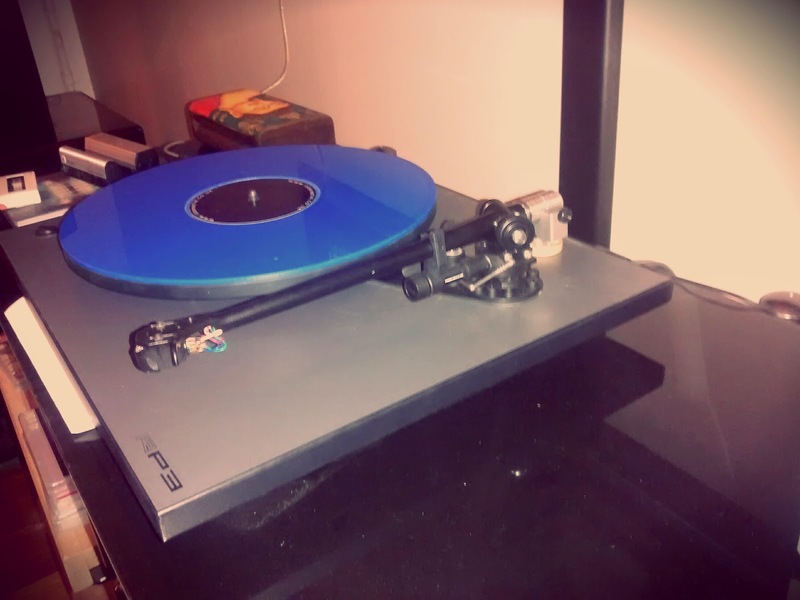 Motor isolation base upgrade is highly recommended for this Pro-ject TT. 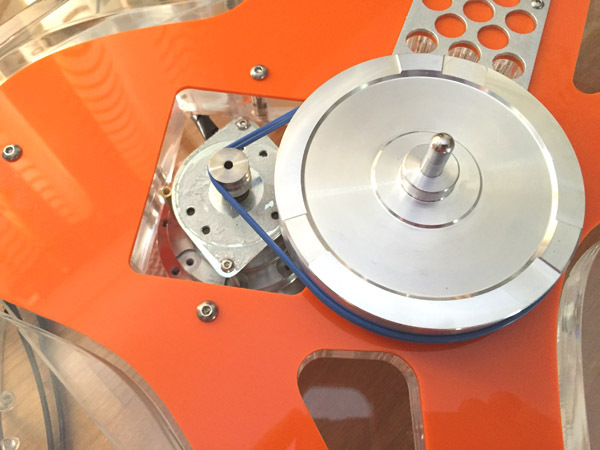 This upgrade not only isolates the TT from motor vibration but also improves the energy transfer to spin the sub-platter/platter in a more steady pace, resulting in overall sonic improvement. Many have tried and are happy with the sonic improvement! Scott's of Harlington, UK , had recently upgraded his Pro-ject Carbon Debut with my motor isolation base and he found the improvement to be significant! 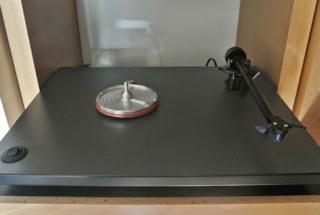 I just installed the isolation base to my Pro-Ject Debut Carbon; the improvement is significant. I wasn't really suffering from any rumble, but what little background noise there was has vanished altogether. More importantly, everything seems a lot clearer - the timing is better, as is the separation between instruments. I would thoroughly recommend this upgrade. 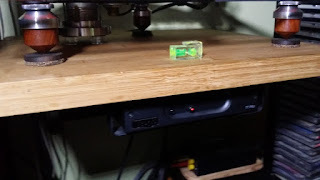 It was easy to install, too - I just drilled a small pilot hole, then used a big drill bit to cut enough of the plinth away to accommodate the posts sticking up from the isolation base. The only slight issue was that the screws provided were much too long; I had to saw them down (and file the bottom thread), but no biggy - it's not hard to get hold of shorter M3 screws. 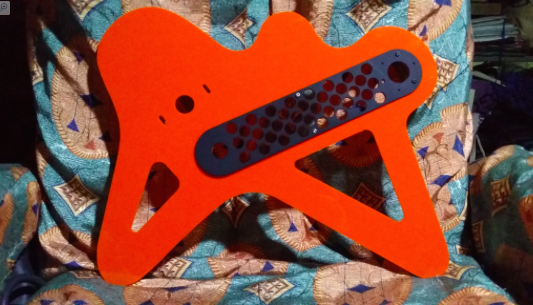 Here's the new orange colour rp8-like acrylic plinth of Endrik from Philippines. 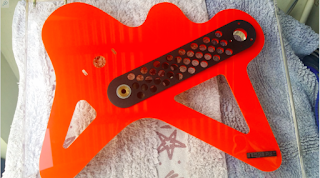 For his new tweak, a piece of 5mm orange acrylic cutout was added above the clear plinth to enhance the look further. And now we have both beautiful look and beautiful music! 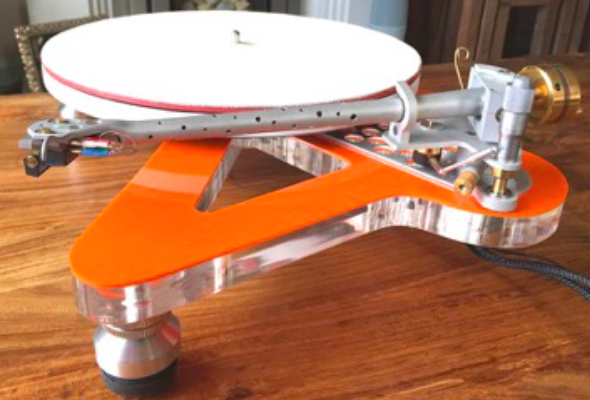 The orange rp8 like plinth is just 5mm thick and placed on top of the basic acrylic plinth. It is not full thickness but just an accent to the plain looking colorless acrylic. No problems with closing the oem acrylic cover whatsoever. Thanks, Endrik for sharing with us !